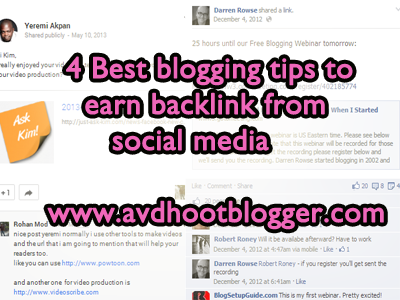 4 Blogging tips to get backlinks from social media sharing users. Best Practical tricks to earn links from social media sharing websites. 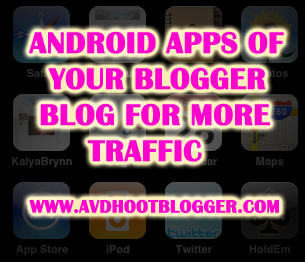 2 online tools to create android apps of blogger blog, a new widget for blogger blog. Solution for how to make android apps of blogspot blogs or any website. 10 types of email subscription widget for blogger that are fast loading, stylish, professional and like WordPress. These beautiful gadgets are made after customizing feed burner email for blogspot blogs. 10 types of email subscription widget for blogger that are attractive and professional and will help you to get more loyal readers and targeted traffic for your blogger blog. In my previous posts I have shared around 10 widgets for blogger so in this post I am describing all the 10 email subscription widgets in one place, few of them are good for entertainment websites and few are professional one that can be used for any kind of blog. Hope you like it. Below I am providing the thumbnails of every widget so that it will be easy for you to choose the best one for you. All email subscription widgets are customized with your feed burner id. These email subscription box is good for professional websites. It will attract the users to get subscribed. Based on pure html and css and without any Java script. Get This Email subscription Widget. This email subscription widget is good for entertainment and professional websites. We have customized feed burner id and gave it a decent look. Used light colors in this widget. It loads faster and eye catchy. Must use widget. Get This Email subscription Widget. This is totally for professional blogs and websites because of its color combination. Using dark color like purple but with stripes which will get the attention of your blog user and hence will help to get more page views in the future if subscribed. Get This Email subscription Widget. These widgets can be used for all types of websites as it has a light background. We attached a yellow image in this widget and then used CSS effects for the sign up box. So it is appropriate for both professional and entertainment websites and blog. Get This Email subscription Widget. This widget is enriched with black wood image looks beautiful when added into the sidebar. I have seen such widget in any famous websites. It is completely customizable you can edit this widget according to your own choices of colors and images. It is perfect for professional and serious bloggers. Get This Email subscription Widget. This email subscription widget is for only dating and entertainment websites and blogs. Because it is customized according to those websites and blogs. It has fallen hearts in the background and the sign up box is also customized with dark red color with hover effects. So it justifies to such type of websites and blogs. Get This Email subscription Widget. This email subscription widget is also in the previous category as the name also tells the story it is for dating and entertainment websites and blogs. The background of this widget is with dark red color with hearts on it and sign up button is made according to that one. Fast loading and very stylish. Get This Email subscription Widget. This widget is also for fun and entertainment websites which wants a different type of widget for their blog in terms of looks as you know being different in right ways always leads you to success. So use this widget. It will increase your subscribed users. Get This Email subscription Widget. It is a pure css based subscription widget for blogger and handy too. You can customize this widget with your own colors. It is suitable for both professional and entertainment types of websites and blogs. It's color combination suits to all. Get This Email subscription Widget. This blogger widget is awesome for musical websites because it is in many colors and will suit to colored websites. Based on html and css hover effect. Get This Email subscription Widget. These were the 10 types of email subscription box widget for blogger that are professional and attractive and for entertainment, dating and professional blogs and websites.